Would You Knowingly Buy A Fashion Knockoff? I was watching an old episode of The Rachel Zoe project in which one of her employees was pulling things from shops for a photo shoot. 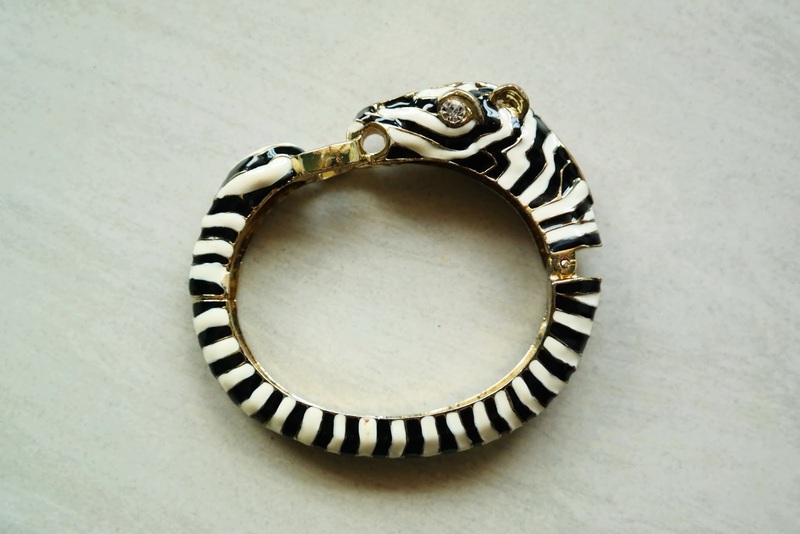 When she entered a David Webb store to select some jewellery, lo and behold, this gorgeous black and white enamel zebra bangle appeared on the screen. I happen to own this bangle. Except, I don't. Not really. I was not familiar with David Webb but since that episode, I've done some research online (translation: a lot of Googling) and I must say I am a huge fan of his beautiful, intricate work. The brand David Webb is most famous for its animal-themed jewellery but there are so many interesting pieces in their website to salivate over. 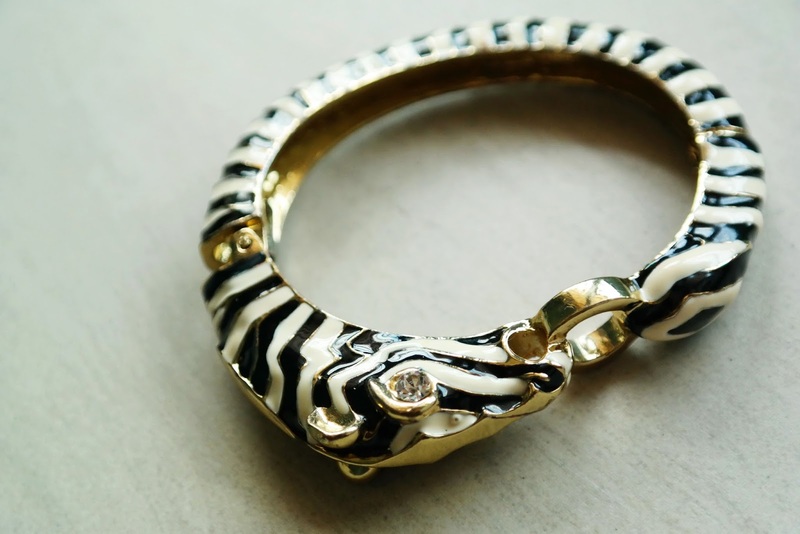 It's no wonder that I coveted the zebra bangle the moment I saw it, because it was pretty much an exact rip-off of one of his most famous designs. The similarities are uncanny, aren't they? I also own a giraffe bangle that has David Webb written all over it. I have to admit, I felt a bit cheated when I made this discovery. Then again, I don't even know if I should feel cheated as the bangle cost me a mere RM 15. But I'm now starting to wonder: if I had known that the bangle was such a blatant copycat of a famous jewellery, would I have bought it anyway? I'm not one for buying fake handbags; I love beautiful and good quality handbags too much that I could never handle the dissatisfaction of owning a subpar version of a bag or clutch that I love. If I can't afford the Chloe Drew handbag (and I certainly can't—yet), I might as well use my ringgits to buy a good, nice handbag at Michael Kors or Kate Spade, or even Zara, all the while continuing to dream about the day I would own Drew. Based on that sentiment, I'd like to think that I would treat jewellery the same way. But how about when it comes to clothes? As much as I love style and fashion, I don't pay close attention to what's showing during Fashion Week but I am aware of the fact that many high-street brands get inspired by what they see on the runway and translate that inspiration into making everyday clothes for people who can't afford high-end. This scenario though—I'm all for it. If an upscale brand does a leather jacket that I love, I'm going to hunt for a more affordable version of it, and what better place to scour for amazing finds than high-street stores? But I'm not so much into buying a creation that is an obvious carbon copy of someone else's authentic brainchild, though, and same goes for these people: the trio designers of Sibling and Sister By Sibling was displeased (and not amused) when Zara imitated a floral motif they designed on their own with an actual artist; earlier this year, The Man Repeller also wrote a piece on the similarities between the garbs in Zara's Spring lookbook and Celine's designs. But then you also get someone who likes being on the other end of the spectrum; I remember this article I read about how Balmain's creative director Olivier Rousteing loves it when other brands copy his work. Heck, he even complimented them for doing so! 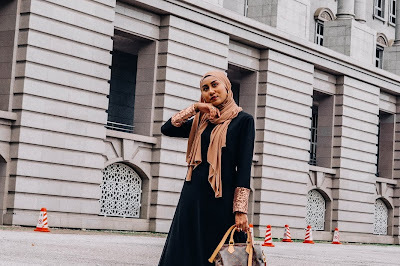 I am a huge fan of Zara as most of their clothes and accessories are really stylish, well-made and most importantly, affordable (or I should say affordorable?). However, if I'm aware of a clothing piece being an exact imitation of a high-end product, I probably won't bother taking it to the cashier. But then again, a big percentage of people—including me—don't study the designs of high-end brands, so we might not even recognise a copycat when we see one. When we see something cute in a store, we'll get it. 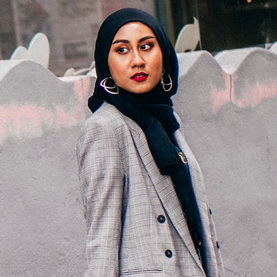 All in all, I think I'm just going to happily continue filling up my closet with the best deals that Zara, H&M and my other favourite high-street brands have to offer. The question now though: what do I do with these bangles? Don't forget to share your own personal sentiment on the topic in the comment section down below! I'm glad my post got you thinking! It's such a pleasure to know there is a reader out there who put a lot of thought into the same issue as I do. Thank you so much for commenting. Thats so interesting, my good friends also has that zebra bangle and I love it, she too is wearing a David knock off, I'll let her know! Personally, I would never intentionally buy a knock off as I'm all about the real deal. But if I purchased something i loved and later found out it was a knock off, thats different, i'd still rock it! I was imagining myself not knowing the bangle isn't original, and I would be wearing the bangle and then my good friend would be telling me, "Liyana, do you know that bangle is a copycat?" I would be like, "Nooooooo! Is it really??" But I'd be glad to know, and besides, that's what girlfriends are for. I hope your friend takes the news less dramatically than I did! There are some that are knock offs and then there are some that are 'inspired by'. As long as these inspired by pieces don't have any logo or branding and most specifically don't have a copy-paste version of the original, but add a few of their own elements, I still think it's ok.
Fox example, I've seen fake Chanel bags, that I would never buy, but then I've seen a quilted bag that almost looks like a 2.55 but does not have the branding or even the same straps and I actually own one of those in a baby pink. But again, that;s how fashion works. The runway shows and top designers (which many of us cannot even imagine buying from) show us trends and spoon feed us what's hot and what's good and then we talk about how tropical is the hottest print and some random shade of purple is the colour of the year, and of course most of us will then go to our nearest mall and buy clothes for ourselves. So Zara and H&M will be our source to indulge in these trends. Sometimes they come up with modified versions of runway clothes, but sometimes if their designers have slacked off, they might just come up with the same thing. While a few people can identify the rip offs, the rest of the world will continue wearing them and be clueless. Bear in mind this happens not only with high street and fast fashion, but this time during Paris Fashion Week, Balmain had a white jacket that was eerily similar to Givenchy's collection from 1997. The ubiquitous quilted bag! I mean, I myself have purchased something quilted from Aldo that's very reminiscent of those lusty Chanel bags, but Aldo had cleverly added their own flair. We all can't be saying no to quilted bags just because they're Chanel's signature design, can we? And, oh yes, absolutely, designers get inspired by each other all the time, I'm sure of that! That HAS to be the thing that keeps them going and better themselves! I am so on the fence about this... stealing is wrong but taking one thing and adding your own spin is another thing... right? It was Pablo Picasso that said art is theft. and in fashion, everyone is kinda stealing from each other, no? Great post and LOTS to think about!! You're absolutely right! 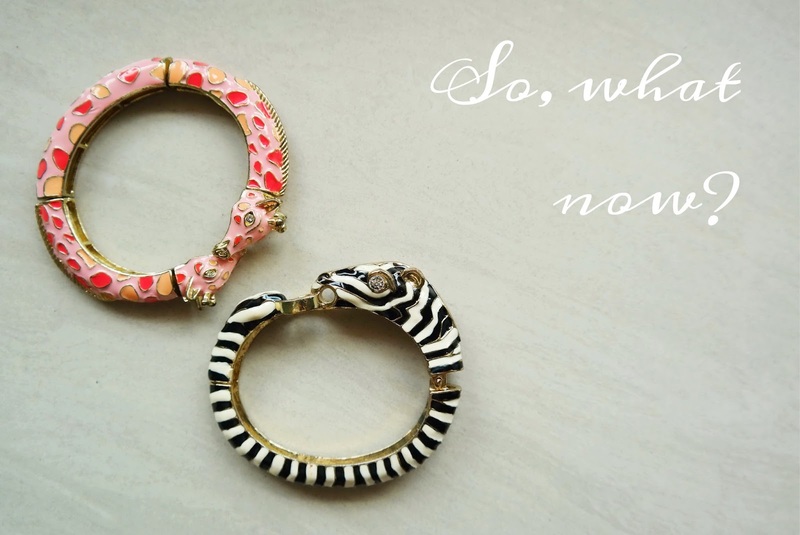 But wouldn't you say this zebra bangle is in the 'stealing' category? It's just way too similar to David Webb's design, isn't it? Its a tough one, I work as a designer for a High Street level label, and yes, of course you get inspiration from other designers, but you should also be looking at many other things for inspiration and therefore putting your own spin on things, which is my interpretation of Olivier's comments regarding his work and the contextualization of his designs. Imitation is the highest form of flattery as they say. I personally (and professionally) have major issues with direct copies... and even many which are suspiciously close, only having changed the smallest of details I don't think are OK. But I do also understand the pressure many designers/product developers get from boutiques and agents who want 'ya know like the Alexander Wang dress' or whatever it is they think their buyers want but don't want the associated price tag. I can imagine there are times when these designers get over ruled by higher powers. That makes sense. I didn't consider the fact that there's a whole design team behind every brand, and I'm sure not every single one of them agrees on putting out products with too-obvious similarities to other products. But if it's what the consumers are asking for, and if it's going to contribute to some real profit, I guess anything goes, right? I've been giving the topic some very serious thought of late. When it's the purchasing of replicas of luxury leather goods, most of us balk. We're strongly against it. However, in the instance of garments and/or accessories, it's a grey line for me. I simply cannot rationalise forking out that much money on things I wouldn't use as frequently as, say, a bag. By the same token, most of the time, I don't even realise the item I just acquired is a copy of something that walked the runway a season or two ago. I try to keep up with trends, but all too often, I fail quite dismally. Does that mean I'm an advocate of the counterfeit industry? No. That said, in a scenario wherein I need to consider real world expenses such as mortgage, feeding the family, paying university fees - at the risk of being verbally bashed, I'm with you. I'd quite happily fork out (a lesser amount of) money for a high street piece. It's a tough question, for which I don't think there's a clearly defined right or wrong answer. 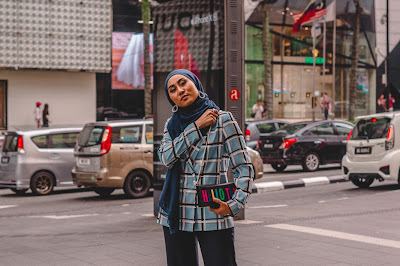 I'm with you; for someone who loves shopping, it's unfathomable to purchase luxury goods every time you're at the mall (which is often) when you have bills to pay, so it's natural for me and for so many others to turn to high street. 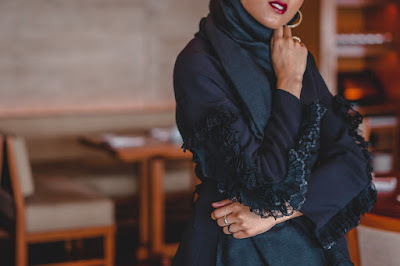 I swore off wearing handbag copycats but I find myself still being on the fence about an accessory - you're right, it really is different when it comes to clothing pieces and accessories. To add to the drama, a few months, I found myself on the receiving end of eloquent verbal abuse because I purchased high street copies of a few runway looks. Again, I didn't even realise they were replicas. Truth be told; I wasn't sure if I should be royally pissed or amused. In the end, I just ignored the person, and the attack stopped after a bit. I was a tad shocked though. That's terrible! Some people can be downright ridiculous and incredibly mean. And may I add, a little too self-righteous. You were right to hold your head up high and ignore the abuse. 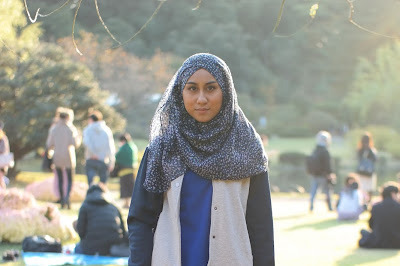 p/s: Sorry about the little button! It should be in the same row as the "Publish" button, on the far right. If it's not there, oh no, I don't even know why that is, I really do apologise. I never paid very much attention to what was showing on the runway until this last year, and its really opened my eyes to how much high end designer brands really are copied. I always knew that those shows are what inspired the more affordable designs for the following season (I always think of that scene during The Devil Wears Prada where Miranda totally schools everyone in the way fashion inspiration trickles down the line) but now I'm grateful that I'm able to spot blatant copies of someones work. I'm not really one to be okay with that either. I wonder how you do your shopping now, now that you have that super power (it sort of is a super power). I guess it means you have less choices when you shop in high street stores, then? If I had seen the floral Zara top, I wouldn't have had a clue that it was copy of someone's hard work and I would have happily purchased it. I mean, it IS a pretty nice top. Does this mean ignorance is bliss, for me? I'm not even sure. I don't normally purposely buy designer knockoffs until I came across a ripoff of the Alexander Wang Rockie bag. I contemplated it for weeks before I gave in and bought it. I still feel a little guilty. However, I believe that there is no direct competition between Alexander Wang and this online shop which sells a version of his (and other designers) work. People who buy luxury goods will pretty much stick to luxury goods and people who can't afford luxury items will most likely continue buying terrible fast fashion alternatives until they can afford higher quality (or not). I think it is worse when smaller, independent designers get ripped off by places like Forever 21 and such. Actually I didn't know how the Rockie bag looks like until I Googled it. See, I can't recognise ALL high end products, just like so many people. If I had seen you walked past me, carrying the bag, I would have thought, "Ooh, cool bag! ", not "Is that real Wang or not?". Ignorance really is bliss sometimes, I really think so! That being said, I understand what you're saying; I'm nowhere near able to afford an Alexander Wang bag (the H&M collab might just be another story...) so some of us can't help but want a similar piece anyway. And I totally get the guilt you're feeling, too!